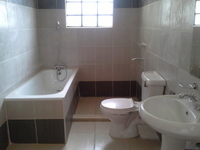 Description: Price inclusive of service charge Secure and serene environment. 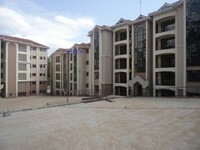 Description: 2 bedrooms apartment located on Lower Kabete near Sarit Centre. Comprising of a spacious lounge, separate dining area, well fitted kitchen, master en-suite with inbuilt wardrobes. 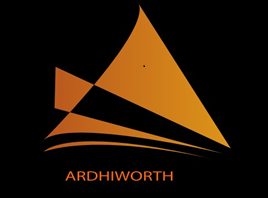 Other facilities include 2 carports, 24hrs security, electric fence and alarm, swimming pool & mature garden. 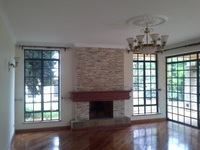 Description: 5 bedroom triplex Town house in Lavington In a community gated All 4 suite with a family room, study room, Spacious lounge with dinning area, closed Kitchen with: in built electric & gas cookers, Oven DSQ for , Parking space for 4 cars. 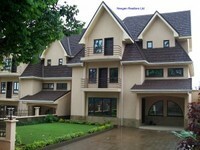 6 town houses in a compound each with its own compound with a small garden in front. To Let: Kes. 240,000 per month Inclusive of service charge. Description: 5 Executive Villas on one acre parcel of land. 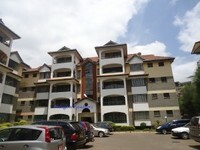 located at the junction of Karen Road and Marula Lane, Karen Estate, Nairobi. - The villa opens to a spacious lounge, with fireplace and a covered terrace. 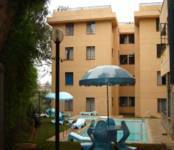 - It has a spacious and modern fitted kitchen with a pantry and a dining room with a terrace . - Has a Master bedroom with ensuite with a walk-in closet/dressing room and balcony.  - Includes a study and family room with a fire place on the first floor. - Ample parking for two under the pergola. - Has a Self contained DSQ. - Cable TV with three outlet points. - Shared swimming pool with a poolside bar. - Filtered borehole water. - Stand-by Back-up generator. - Ample security with intercom to each house, panic buttons, vibration sensors on all windows and doors. 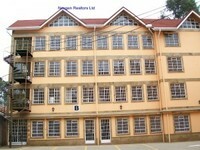 - Close proximity to Karen Country Club. Description: THIS SUPERB HOUSE Opens up to a spacious sunken lounge with a fire place. It has a separate dining area and a family room. It has a spacious and modern fitted kitchen with a store room. The kitchen leads to a laundry area. THE UPPER FLOOR Opens up to a lobby, 3 spacious bedrooms and a master en suite bedroom that boasts of a walk in closet and a spacious bathroom with bathtubs, a separate shower and lavatory and the option of a Jacuzzi. FINISHES Include wooden flooring in the living areas and ceramic tiles in the kitchen and wet areas. EXTRAS Include internet, a live fence, extra water tanks with an automated pump, adequate security, parking for 4 cars, alarm switches on every room and a garden.